Henry C. Swierczynski, is the founder and president of Hendolhurst Homes Inc. Before starting Hendolhurst Homes, Hank was the District Manager of Western Pennsylvania for Ryan Homes. During those days, it wasn't uncommon that he would close on approximately 350 homes in a single year. Following his successful employment with Ryan Homes, Hank became foreman of another local custom home builder and with this experience Hank cemented his name in the building industry as a man of integrity, trust and professionalism. In 1980, at a period when the interest rates were at an all time high, Hank decided it was time to put his name and expertise into something of his own. Thus Hendolhurst Homes Inc was founded. Built with grit, determination and an unwillingness to quit Hank started off building decks, additions and small remodeling projects before getting an opportunity to build the first Hendolhurst Homes house. This single opportunity catapulted Hendolhurst Homes to building many custom homes per year, winning countless awards and earning the reputation as one of the premier custom home builders in the Pittsburgh region. Hank's reputation is well known in the surrounding area. "We wanted to thank you for making our dream home a reality. It is exactly what we had imagined. We are certain that we wouldn't be able to look back at the process and to the finished product with such satisfaction if we had gone with someone else. I can't count the times we said to each other how thankful we were to have chosen Hendolhurst Homes during the building process. We have no regrets and will proudly recommend you and your team to any prospective home builders. "We want to extend our sincere appreciation to the family at Hendolhurst Homes for the excellent work done at our house. We appreciate that you worked so closely with us as we introduced numerous change orders, which created many hours of design changes and price adjustments. Whenever there was an issue that required interpretation, we feel that you treated us with unwavering integrity. That same integrity has set you apart from other local builders for 30+ years. 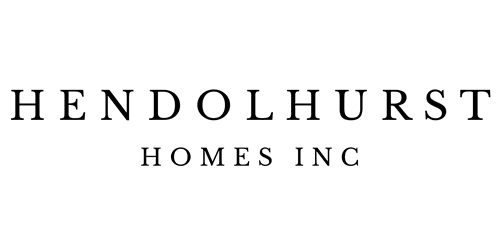 Although we do not plan to move again anytime soon, you can bet that Hendolhurst Homes will build our next home." "Thanks for all the excellent, high-quality work - and for your responsiveness to all of my requests. If you ever need a reference please feel free to use my name."